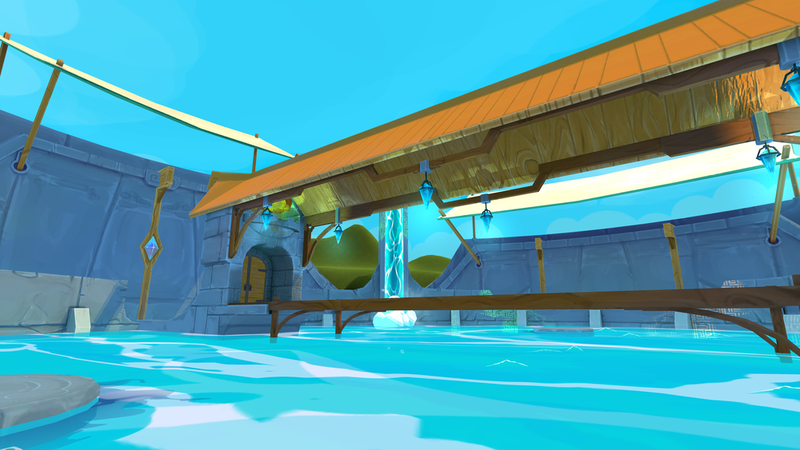 Once the home to a mysterious underwater beast has now become a haven where mages compete to become the best of the best. 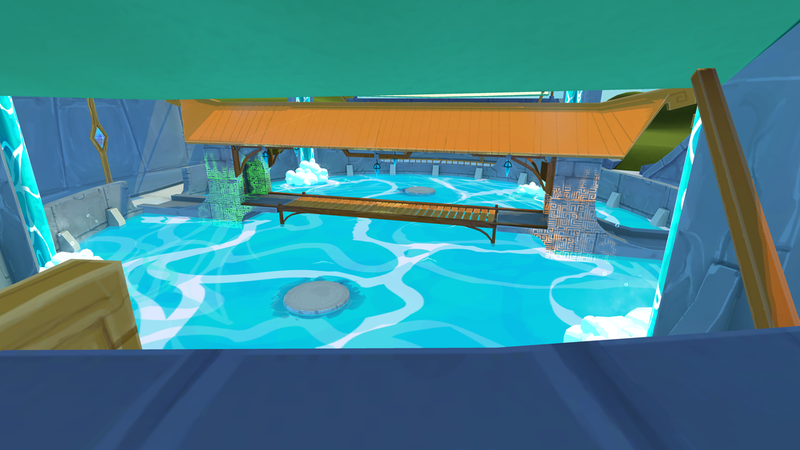 The 'Arena' is one of several new environments available in Patch 1.0! Upcoming update 'Patch 1.0' brings with it a new map for single player and multiplayer. 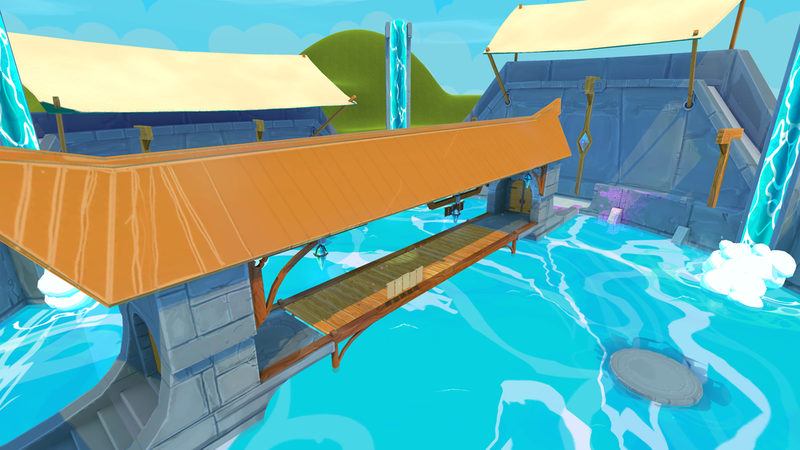 Set in the same region where our brave mages defeated the Squizzard, our new 'Arena' allows mages to duel against each other and hone their skills! This map is inspired by Medieval European Architecture combined with a splash of fantasy referencing Georgian designs dated back to the 17th century. Aside from the gorgeous visuals, players will find themselves dueling their adversaries in fast paced head-on combat. 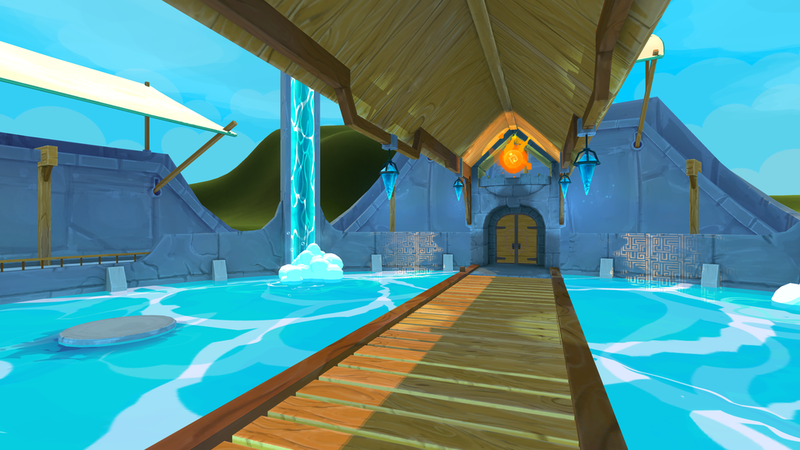 The sealed gate doors on each opposing wall ensures that mages are always facing their opponents. Magical barriers cast on the sides of the narrow bridge complement the low dipole ceiling which will cause unexpected ricochets in every direction. Mages, prepare to stand your grounds!